Arctic Monkeys have gone and started this week off in the best way – by announcing the UK tour we’ve all been waiting for. 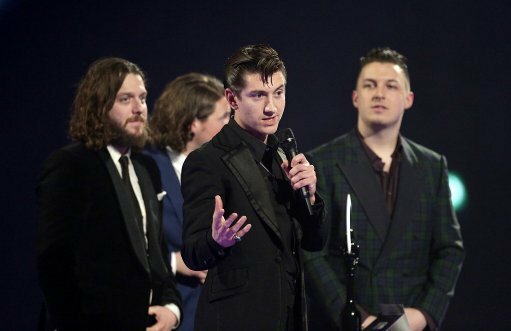 Having just announced their highly-anticipated fifth studio album – Tranquility Base Hotel And Casino, which’ll be released in May – this is some seriously exciting news for fans. The band announced the September 2018 tour across their social media platforms – which includes two Manchester dates, two London dates, and two Sheffield dates, along with scheduled dates for Birmingham, Dublin and Newcastle. The band will be supported by The Lemon Twigs, an American rock band from Long Island, New York. Arctic Monkeys announced their upcoming album with a 40 second video clip. Although at heart they’re still that group of Sheffield lads who used to play The Grapes, Tranquility Base Hotel And Casino certainly has a new feel to it. With its release date on May 11, it means the album will be with us just before summer. [The album] finds the band intent on continuing to explore new musical terrain with each album. ‘Tranquility Base Hotel & Casino’ ups the ante in a big way; it is a bold and brilliant album reflecting Turner’s ever more comprehensive creative vision. Tickets for the tour go on sale on Friday, April 13. ARCTIC MONKEYS TOUR DATES ARE ANNOUNCED AAAAAHHHHHH ??? Reaction to the tour news has been welcomed by fans, with some suggesting they’ll take the morning off work to make sure they get their hands on tickets. I’m going to have to take the morning off work to get @ArcticMonkeys tickets, I’m not taking any chances! To coincide with the statement, the Arctic Monkeys posted a recent photograph of themselves to their social media channels and it’s fair to say they all, besides drummer Matt Helders, look almost unrecognisable.